Cover for Acta Chimica Sinica vol 70 nº 20 based on paper by Zhang Liang, Yu Miao, He Chuan. Mouse Tet1 Protein can Oxidize 5mC to 5hmC and 5caC on Single-stranded DNA. 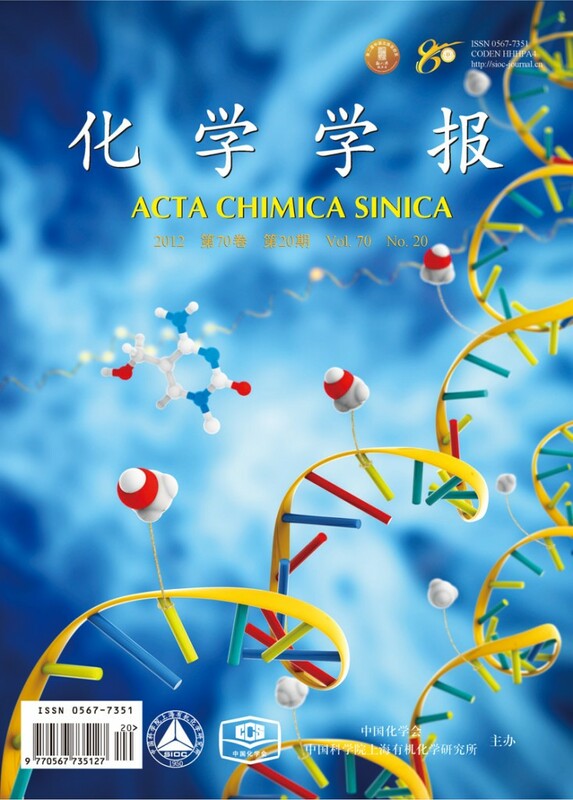 Cover for Acta Chimica Sinica based on paper by Zhang Liang, Yu Miao, He Chuan. Mouse Tet1 Protein can Oxidize 5mC to 5hmC and 5caC on Single-stranded DNA. The paper shows that Tet proteins can oxidize 5-methylcytosine (5mC) to 5-methylhydroxicytosine (5hmC) and 5hmC to 5-Carboxylcytosine (5caC) on single-stranded DNA as well on double-stranded DNA. Chinese Journal of Organic Chemistry is a comprehensive academic journal of organic chemistry. 5-Methylcytosine (5mC) is known to play broad roles in mammalian biology. It can be enzymatically oxidized to 5-hydroxymethylcytosine (5hmC), 5-formylcytosine (5fC), and 5-carboxylcytosine (5caC) by a family of iron(II)/αKG-dependent dioxygenases Tet proteins. This process has been shown to play critical roles in mammalian cell development and dynamic methylation regulation. Previous research has shown that Tet proteins can oxidize 5mC on double-stranded DNA (dsDNA). Here, we expressed and purified the active domain of mouse Tet1 DNA from insect cell. By employing mass spectrometry, we show here that mtet1 (1367—2039) can also oxidize 5mC on single-stranded DNA (ssDNA), thus indicating its potential involvement in 5mC oxidation during replication or/and transcription, as well as the oxidation of corresponding modifications on single-stranded RNA in mammalian cells. This entry was posted in cover, Enzimas, Genetics, Proteínas, Proteins, Química, Uncategorized and tagged 5-carboxylcytosine, 5-formylcytosine, 5-hydroxymethylcytosine, 5-methylcytosin, 5-Methylcytosine, 5caC, 5fC, 5hmC, 5mC, double-stranded DNA, dsDNA, oxidation, single-stranded DNA, ssDNA, Tet. Bookmark the permalink.